Our formal mission statement is that "We will enthusiastically teach young children to embrace sports and fitness and believe in their ability to lead a healthy, engaged, and active lifestyle." It's nice to have it spelled out like that, but we admit that is a mouthful. Several years ago we used our tagline to boil this down so that, parents especially, can easily see who we are and what we deliver. It's just four words. There is nothing difficult to understand there, and it is easily measured. Sports is the vehicle with which we promote fitness in kids. So much of what kids become is instilled at the earliest of ages. 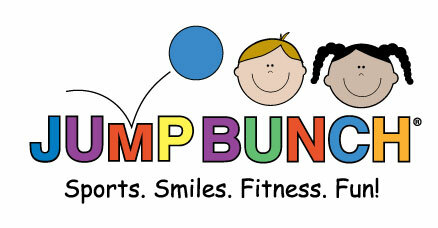 We strive to make sure that each and every week kids see new ways to stay healthy through a variety of sports. By making sure these experiences are producing smiles that are the best indicators of FUN, we are laying the groundwork for kids to want sports to be a part of their life. When we burst through the doors with our equipment in tow, it is a rock star experience for us to see the kids excited about what we are about to do. Our teams do make a choice each time theY head off to teach a class. That choice is to enthusiastically show kids that sports and being fit are things they should enjoy and expect to have fun doing. Mission...ACCEPTED!